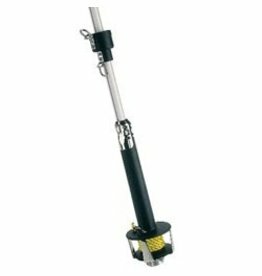 TUFF LUFF 1205 EXTRUSION 36"
The halyard deflector prevents the jib halyard and other halyards (such as a spinnaker or additional jib halyards) from wrapping around the foil. The ESP Furler is designed for the cruiser looking for an easy-to-assemble furler with an elegant design. Install a Harken ESP Furler and trim safely from the cockpit when it blows; unfurl instead of motoring when it"s light, for a great day of sailing. The low friction, light weight and durability of the twin-groove Carbo Racing Foil is a winning combination! A long leg kit adjusts the drum height. Choose the long leg extension kit when using a turnbuckle with swage, Norseman or Sta-Lok terminals. SnapFurl represents the latest in quality Schaefer design and engineering. MKIV furling systems are strong, lightweight and aerodynamic, with the performance and features Harken is known for. Longevity, ease of use, and simplicity of installation are crucial components of the design.